In life we will all eventually be faced with some sort of tragedy. The loss of a loved one, sickness, pain, or heartbreak. Some of us give up during these tough times, while others ﬁght back, becoming even stronger than before. 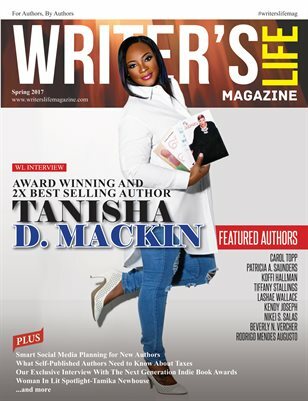 We all love to hear stories of people who have turned their tragedy into triumph, and such is the story of Tanisha D. Mackin who shares her inspiring story with us in a exclusive Writer’s Life interview. Also check out our other exclusive interviews, books by talented indie authors and tips from some of the most sought after best-selling and award-winning indie authors and publishers around!! !